We are pleased to have received two awards at this year’s HRACRE – Hampton Roads Association for Commercial Real Estate Excellence in Development Design Awards. Our “ADP Center of Excellence” project was presented with an Award of Merit in the “Best Interior” category and our Tidewater Community College “Renovate Bayside Building” project was also recognized with an Award of Merit in the “Best Educational Building” category. Congratulations to all involved with these outstanding projects! 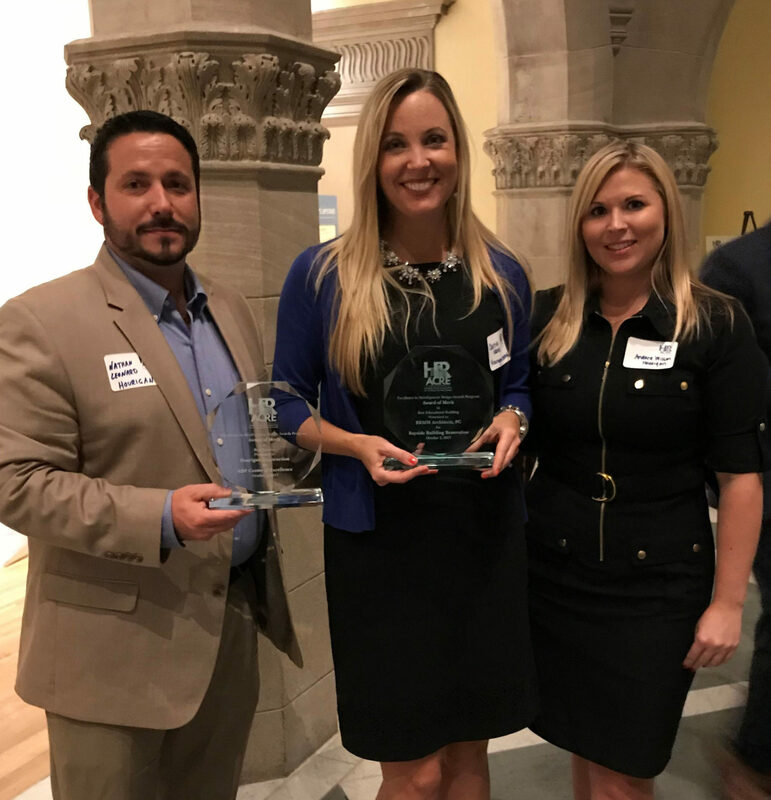 Nathan Leonard (Client Solutions Manager), Carrie Kane (Marketing Manager) and Andrea Wilson (Pursuit Coordinator) accepted the awards on Hourigan’s behalf.